With the release of the new iPad 3 expected to happen in the next couple of weeks on March 7, 2012, leaked photos have started popping up. There are three of them, to be exact. These photos revealed some of the wanted features that fans of this greatly anticipated device have been hoping for. They give us a hint of what to expect in the design of the new iPad without telling us for sure. Here are what the three leaked photos showed. One of the leaked photos hints at what type of processor the device will have. This photo was on a Chinese website and it was a picture of an open device that exposed a dual-core A5X processor. This hints to the consumer that this is the processor used in the new iPad. In one way, this is good news because it is a step up from the A5 dual-core processor used in the second-generation iPad. However, it’s not the A6 quad-core processor that many iPad fans were hoping for. For this reason, many people may be a little disappointed right now. Still, it’s important to remember that these are just photos that suggest the alleged features the new iPad 3 will have. You should also take into account that what you see in a photo can sometimes be a little deceiving, especially when you’re dealing with Apple. There’s a possibility that this was just a substitute prototype created by Apple and it may not be the one they used. Apple’s well known for making several prototypes before deciding which one of them would be the best to use when all the specifications are final. There’s no way to know for sure until the device goes on sale, unless Apple offers up this information before then. Another leaked photo on this Chinese blog shows a glimpse of what some think is the iPad 3 display being packaged and prepared to ship. This one indicates that this device might have the much-anticipated high-resolution 9.7-inch retina display. However, it also shows a duel LED display so this makes it difficult to say for sure which display is being used. It’s reported that Samsung’s manufacturer, Radiant Opto-Electronics is the supplier which may be another clue. A side-by-side view in which the iPad 3 was compared to the first and second-generation iPads was the first photo to surface on a Chinese blog. In the photo you can see that there is a big difference in the perimeter of the “rear-facing” camera. This leaves us to believe that Apple was making room for the 8-megapixel camera. The photo also showed that the new design looks very much like the design of the iPad 2 except that it has a beveled edge. Viewers speculate that the beveled edge was needed to make room for a larger battery, which seems to confirm one of the rumors that has been floating around as of late. If this is true, users can expect to have even longer battery life than what the iPad 2 provides. 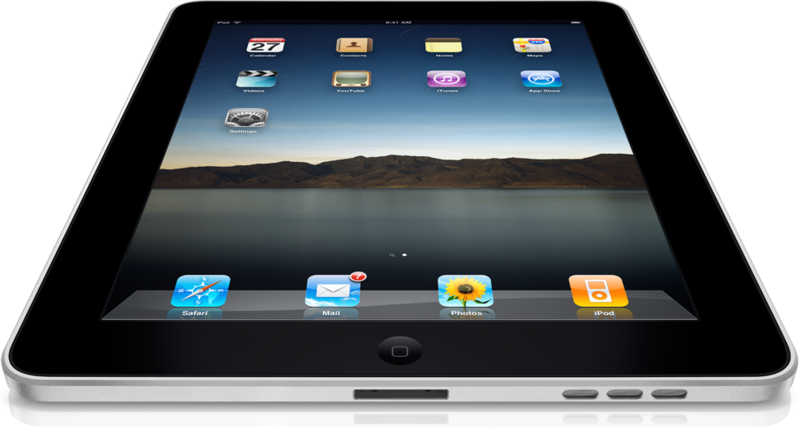 This means that the battery life of the iPad 3 can provide more than 10 hours of use. There’s going to be a lot of happy consumers out there in a couple weeks if that assumption ends up being true. In the meantime, we’ll continue to wait for the day when the iPad 3 is released so we can see find out first hand exactly what features it has. To help kick off the celebration, Apple announces that a special Beatles Edition of Rock Band will be made available for both the iTouch, iPad, and Apple TV 3.0 immediately. But if it does launch today, the Apple iPad Computer will be a breakthrough multimedia device, combining the best of the Apple TV, the iTouch, and a Netbook. Original Article has 1262 words.